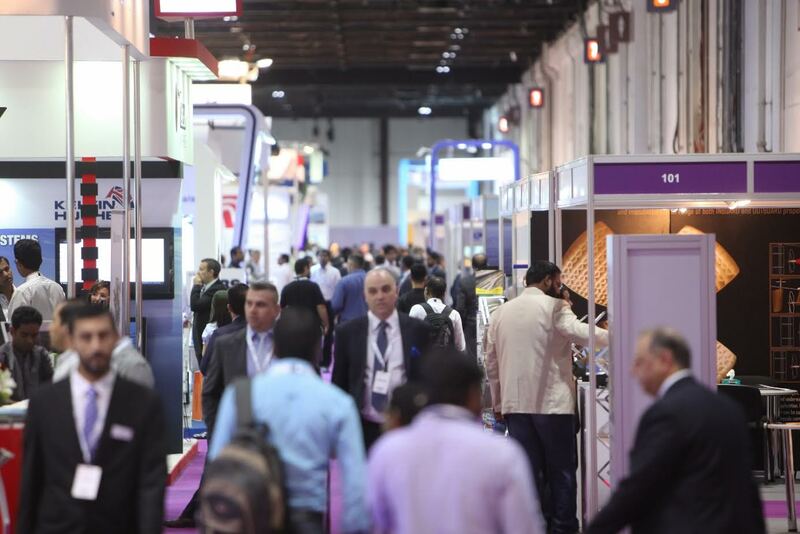 International and regional shipping operators, ports, financiers and other maritime professionals will gather in Dubai today (Monday 31st October) for the eighth biennial edition of Seatrade Maritime Middle East (SMME). Held under the patronage of His Highness Sheikh Hamdan bin Mohammed bin Rashid Al Maktoum, Crown Prince of Dubai, UAE, and part of Dubai Maritime Week, the three-day exhibition and conference, now in its eighth edition, returns to the Dubai International Conference & Exhibition Centre to welcome the region’s largest gathering of shipping and maritime industry decision makers with almost 7,000 participants from 69 countries expected to attend. This year’s interactive conference programme will once again bring together a panel of maritime industry leaders, influential economists and shipping analysts for an in-depth analysis of where the current industry status quo, and will also examine regional industry opportunities, along with a series of presentations and ground-breaking case studies on key maritime projects, including Egypt’s Suez Canal expansion, and schedule of educational technical forums. The opening economic forum session on the first morning will be chaired by well-known moderator and broadcast journalist, Eithne Treanor, and features a high profile panel line-up that will set the scene for three days of successful conference discussion. Panelists include Abdulrahman Essa Al-Mannai, President & CEO, Milaha; Marcus Machin, CEO, Tufton Oceanic Finance Group; Admiral Mohab Mohamed Mameesh, Chairman & MD, Suez Canal Authority; Tim Power, MD, Drewry and Tim Fox, Head of Research and Chief Economist at Emirates NBD. Day two of the event (Tuesday 1 November) presents an action-packed schedule, opening with the Seatrade Tanker conference at which a number of the industry’s most respected experts led by Katharina Stanzel, Managing Director, Intertanko, will engage in a Middle East-focused discussion on the crude oil tanker market and product tanker trading. The half-day session will cover supply growth patterns, demand influencers and a prognosis of potential future earnings, taking into consideration factors such as trade and ton-mile configurations and order book volume; as well as an analysis of the factors influencing and driving product tanker demand. A brace of technical forums will dominate the early afternoon with sessions examining the critical issues facing an ever-changing seascape in terms of shipping and environmental challenges shipping and environmental challenges, followed by a lively discussion on Crewing: The vital interface, both held in association with IMarEST. Moderated by Nikeel Idnani, Honorary Secretary, Institute of Marine Engineering, Science & Technology (IMarEST) UAE Branch, the panel features a respected group of panelists including Captain Stephen Bligh, Senior Principal Consultant, Head of Section, Maritime Advisory, Region South East Europe & Middle East, DNV GL and Captain Lee Chee Seong, VP – Network Operations, United Arab Shipping Company (SAG). With demand for technically proficient crew still exceeding supply, the panel will debate the full gamut of contributory factors such as the role of human behaviour in safety at sea and the impact of unmanned ships, the tricky topics of contract ‘sweeteners’ and the possibility of increased funding for industry relevant university and diploma courses. Another highlight of the three-day event, is hosting the 61st annual International Shipsuppliers & Services Association (ISSA) Convention. Taking place on 31 October and 1 November, the association has partnered with the UAE National Ship Suppliers Association (UNSSA) to deliver a one-of-a-kind event for maritime industry professionals at which they can connect with leading ship owners, managers and suppliers, learn the latest market trends and innovative solutions, and explore new business opportunities. In addition to member networking opportunities, the schedule of industry-pertinent keynote addresses and panel discussions will welcome a distinguished cadre of industry luminaries and thought leaders to the podium including Mohammed Al Muallem, SVP & Managing Director, UAE Region, DP World; Nawfal Al Jourani, Head, Dubai Maritime Cluster Office (DMCO) & Director of Communications, Dubai Maritime City Authority (DMCA); Neville Bissett, General Manager, Ports Development Company, King Abdullah Port; Captain Sanjay Mehta, General Manager, Emarat Maritime; and Saeed Al Malik, Chairman, U.N.S.S.A. & Vice President, ISSA, Member of the Board of Trustees, Emirates Maritime Arbitration Centre & Member of Dubai Maritime Advisory Council. UBM is one of the world’s leading B2B events organisers providing vibrant and dynamic events enriched with digital and print media. Its events allow its customers to make connections and do business efficiently and effectively. UBM has three principle businesses: UBM Americas, UBM Asia and UBM EMEA who together provide high quality Events and OMS activities through regional focus, closely collaborating when brands extend globally. UBM is the largest “pure-play” exhibitions organiser in the world, No.1 International Exhibitions organiser in China, India and Malaysia (Asia) and No.1 Exhibitions organiser in the US. Included within the UBM maritime portfolio is: Sea Asia; Seatrade Maritime Middle East; Seatrade Offshore Marine & Workboats Middle East; Seatrade Maritime Awards Middle East, Indian Subcontinent & Africa and Seatrade Maritime Awards Asia; Marintec South America; Offshore Marintec Russia; Marintec Indonesia; Marintec China, Sea Japan and Expomaritt. The Seatrade portfolio is headquartered in Colchester, UK, and globally represented across 23 countries from the UAE and Asia to South America and across Europe. From Singapore, both the Sea Asia and Seatrade Maritime Awards Asia are managed under the umbrella of UBM Asia, the largest trade show organiser in the region, and the largest commercial organiser in China, India and Malaysia. Seatrade Maritime Review and Seatrade Maritime News are the official titles in print and online for all the UBM maritime portfolio, as well as associated events: Posidonia and gmec.